INDIANAPOLIS -- If you’re traveling this weekend make sure you look at the traffic maps before you head out. Indiana Department of Transportation is closing the southbound lanes of I-65 at the north split for pavement work through Sunday evening. The lanes will be closed starting at 8 p.m. Friday. 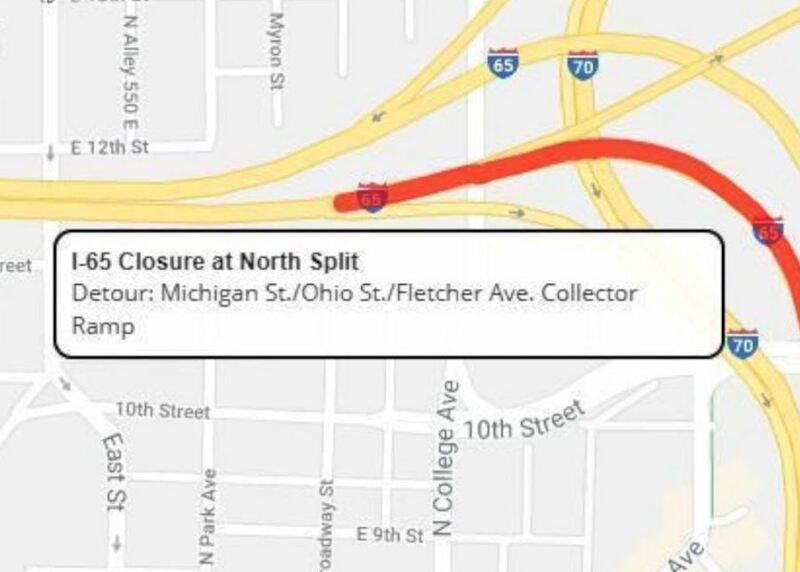 INDOT will detour traffic to the Michigan Street, Ohio Street and Fletcher Avenue Collector ramp to get around the work. The work is expected to be complete and the lanes reopen sometime around 8 p.m. Sunday evening.